A paraprofessional is a teacher’s aide who is paid to assist in instruction under the supervision of a licensed teacher (Non-instructional assistants, such as personal care assistants and translators, are not considered paraprofessionals). Paraprofessionals who held the NCLB approval letters or the TASN (Highly Qualified) approval under the old system automatically received the ELS (PARA) on July 1, 2013. To be valid, this license must be registered in the county in which the individual works. This can be done by visiting ELIS on the ISBE website at www.isbe.net, following these directions, Register Your License. Every five years, your license must also be renewed at www.isbe.net, following these directions, Renew Your License. Completed 60 semester hours of college credit at a regionally accredited institution of higher education. Evidence is an official transcript in a sealed envelope. Obtained an Associate’s Degree or higher at a regionally accredited institution of higher education. Evidence is an official transcript in a sealed envelope. * Proof of high school graduation must also be provided if the applicant does not hold a minimum of an Associate’s degree. Evidence is a copy of your high school / GED diploma or transcript. 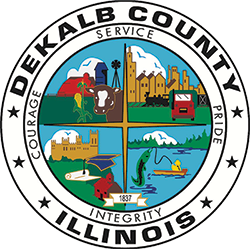 Bring or send the above documents to the DeKalb Regional Office of Education, 2500 North Annie Glidden Road, DeKalb, Illinois 60115. Please provide an explanation describing the reason you are providing the documents. The ROE will scan these documents into your ELIS account for ISBE evaluators to access during their evaluation. If your last name is different from what appears on the document, please indicate that, as well.